You are at:Home»Blog»Our Instagram profile has gone berserk! Last Thursday I walked on the rue Chanoinesse, one of my favourite places on the Paris island of Île de la Cité, to take a picture of a spot covered with wisteria. The photo was posted on Friday evening and our Instagram profile has gone berserk since. I had seen similar photos taken by photographs at this spot. 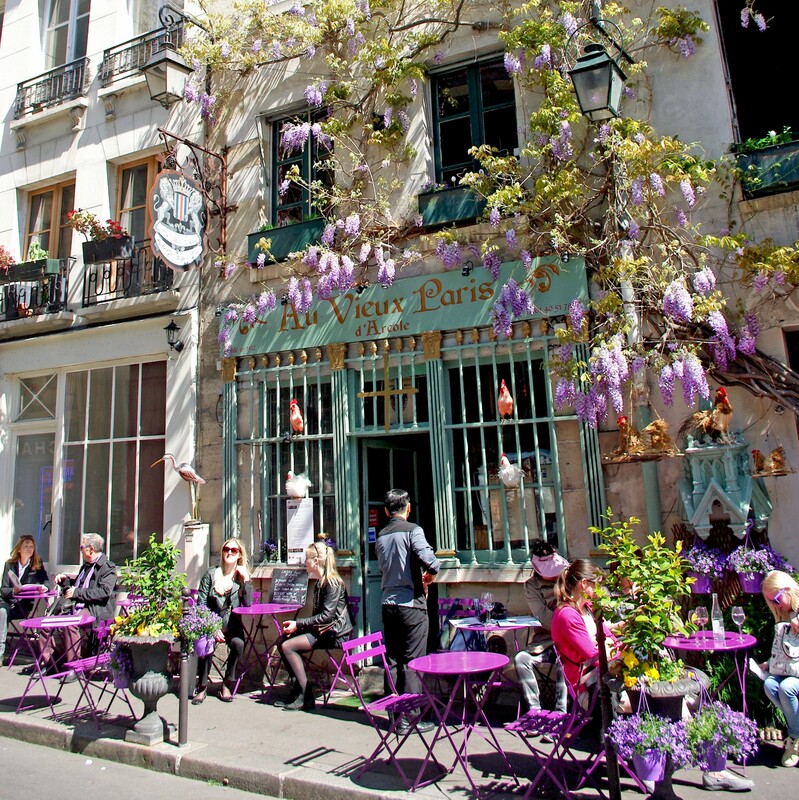 In the Spring the typical café ‘Au vieux Paris d’Arcole’ (24 rue Chanoinesse) is beautifully enhanced by wisteria, adding to the peaceful atmosphere of the place. How many people know that Notre-Dame cathedral stands just around the corner? The street is part of a small area that was not destroyed by Baron Haussmann when he worked on a new city planning for Paris. On your next visit to the French capital, don’t forget to have a peek at this interesting area! By the way you can join our Instagram profile and discover over 1,700 photos. For info we only post once or twice per day.